The only one of "The Big Three" cymbal companies located in Europe, Paiste has been producing cymbals since the turn of the 20th century. Conceived in the late sixties and released in 1971 to keep up with the demand for louder cymbals alongside amplified instruments, the 2002 Series is the best known Paiste cymbal and can be heard in recordings through the decades. 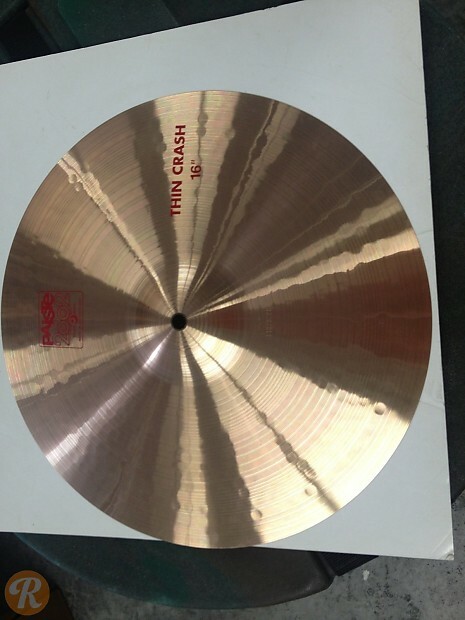 The 16" 2002 Thin Crash responds with a soft edge when hit with a stick and crashes brightly with a quick decay.